I received a £15 Boots voucher from my gorgeous friend Zoe for Christmas so I spent it on Soap and Glory products (standard). 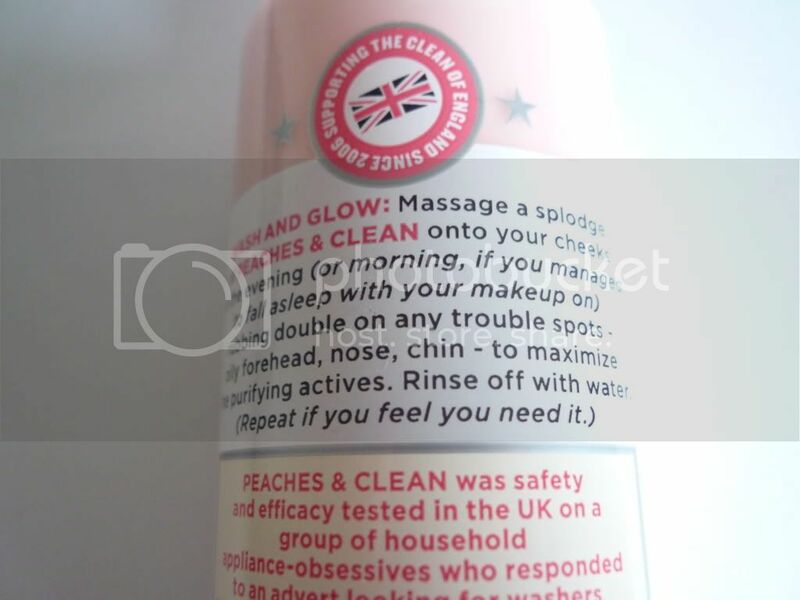 Peaches and Clean was something I had been umming and arrgghhhing about spending on for a while now. I hadn't seen that many rave reviews and it seemed to be a product that not many people were talking about (or maybe I simply had my head under a rock?). Then one night I must have watched about 20 YouTube videos - mostly Miss. Budget Beauty ones (still on my penny-pinching mission from my bout of unemployment). She raved about this cleanser. It was in most of her videos that I watched, in some mention or another. So I bought it. 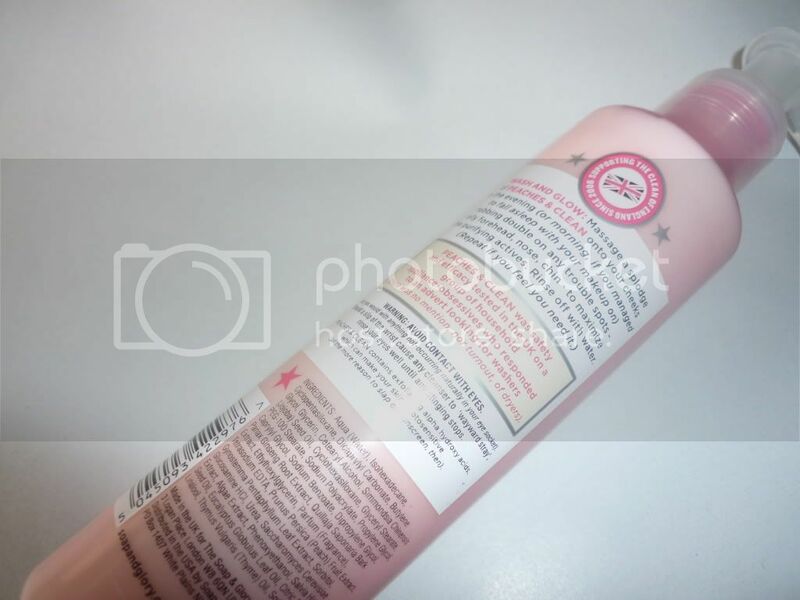 The packaging is the usual Soap and Glory fare: pink, feminine, eye-catching and unmistakable on any shelf whether instore or at home. It comes with a pump which is ideal for dispensing the product and allows a decent amount to come out of the bottle so only a few pumps is enough for an entire wash. I can foresee the tube for the pump being too small to reach to the bottom of the bottle (this is something that happens in most Soap and Glory bottled products for reasons unknown to logic) but that won't be a problem as it's plastic packaging so I can cut it in half to scoop the remainder out. Its got a smooth consistency but not really the fluidity of 'milk' as its name would suggest. The cleanser can be put onto the face without having to be foamed up under water and cuts through any amount of makeup you want it to - unless you're wearing some seriously heavy duty foundation. Then you may need to wash twice (although I wouldn't recommend it for eye makeup because it just bloody hurts when it gets in the eyes - usual clumsy me!). It smells like a combination of fresh mint and peaches. I wasn't that keen on the scent at first but it grew on me - I think this was more because I was so used to the Soap and Glory scent being sweet rather than minty but I really like it now. My skin has become softer and clearer over the time I've been using this product (roughly three weeks now). This probably has something to do with all of the fruit acids listed as active ingredients. It also claims to shrink pores which I didn't really believe that it could do but I have noticed that some of the pores on my T-Zone seem to be smaller if not gone all together. I'm not really a girl that stands and deliberately takes notice of my pores but I guess if they're not there any more then I'm more than happy to continue being ignorant about them most of the time. 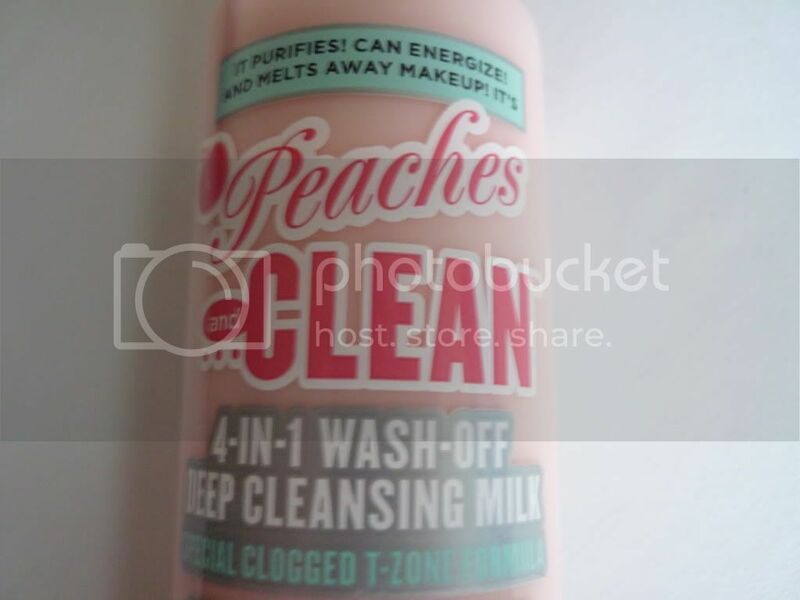 Soap and Glory 'Peaches and Clean' 4-In-1 Wash Off Deep Cleansing Milk is available exclusively from Boots instore and online. 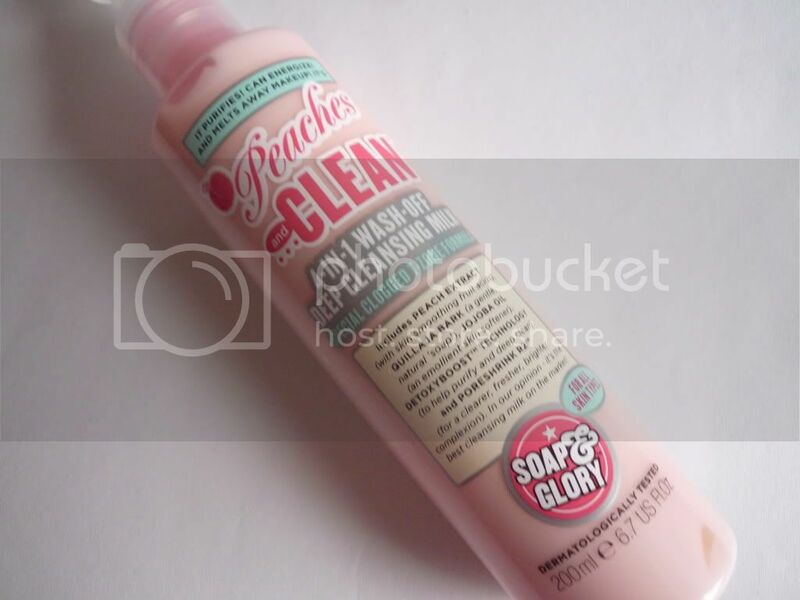 Soap and Glory are also on Facebook and Twitter. I got this for Christmas in the 'Best of All' S&G set! I've not tried it yet but I'm quite excited to now after reading this! Oooh sounds fab, i really want to try some of the soap and glory facial scrubs and skincare products, they sound great and as always i love the packaging! Ah I have this from the best of all gift set at Christmas and I'm still unsure. My skin does feel really clean after each use, but it does leave my skin feeling slightly irritated too and I prefer a cleanser that is a bit more sensitive around the eye area?! Not giving up though and hoping my skin gets used to it. 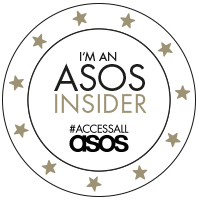 ;-) SX. I got this for christmas and have been using it every night, I still use it on eye make up and love it!